Very strange happenings in all things financial, perhaps the most strange is located within the COMEX. First, for the last year and a half or more, we watched as gold and silver open interest steadily rises for several months and then suddenly falls in collapse fashion. The rise and collapse in open interest have not been parallel in gold and silver, often times they have been directly inverse as they now are currently. Open interest in gold is currently close to multi year lows while silver’s open interest is near multi year highs. Why is this? Why would these two metals have opposite moves in open interest? Some might say because of “spreading” or ratio trades being long one while short two the other or what have you, I don’t think so. A few of the other very strange happenings within COMEX are as follows: the vast majority of inventory movements for the last year or so has been divisible by “32.15”ounces. This is important because 32.15 ounces are equal to 1 kilo. COMEX deals in, and is contracted in 100 ounce bars. Three kilos for example are equal to 96.45 ounces, just shy of 100 ounces. Last year, JP Morgan reported the movement of 321,500 ounces for three consecutive weeks, (10,000 kilos), is this not an oddity in itself? Also, kilo bars are 99.99% pure gold, 100 ounce bars are 99.5% pure. Although these are only apart by 1/2% purity, who would want to be on the losing end of the 1/2% purity? This amounts to one half of an ounce of gold …or about $600 for every 100 ounces. I plan to write tomorrow regarding the new “fix” process and how China will soon be a part of it. Couple this with a Chinese new year, a fracturing Europe and very likely war over Ukraine amongst other financial happenings. I believe the process of discernible difference between paper metal and physical metal pricing may very well be here and now, we will soon see? What I get from this is …..TRUST NOBODY. There is little doubt in the mind of many of us now that ALL MARKETS ARE MANIPULATED. In my heart of hearts I truly believer that soon enough every lie will be exposed. When that occurs people will flock to physical and when that happens a FAILURE TO DELIVER will occur and the paper shuffle you described will be over. Of course Bill, you will now be ‘labelled’ a “crazy” conspiracy theorist by the MSM financial presstitutes! The COMEX is nothing more than a legalized front for theft. Speaking of underhandedness, remember “Operation Chokepoint”? It now seems the government does not want you to know whats going on behind the curtain! This onerous program is now being hidden from view. The ‘Freedom of Information Act’ as to this program is now void! 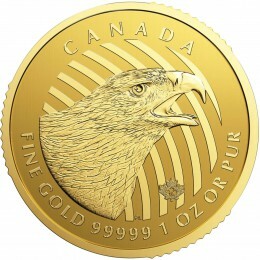 Preparing to close down gold bullion dealers? imagine what that would do to retail price? 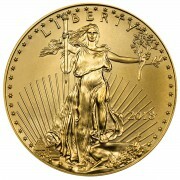 Imagine…we possibly own the only insurance policy that will not default.Physical GOLD. I personally believe that in my life time we may see the $50,000 price of gold that Jim Sinclair has spoken about. in a currency breakdown, that number could be laughably low. On a different note my friend and I have been talking about how bad it is in Venezuela. Specifically we talked about how difficult it was to obtain toilet paper and that public restrooms had no toilet paper as it was taken home as fast as it was put out. Can you imagine going to a public restroom and there is no toilet paper ??? My friend stated “…you know that is coming here (USA) in the near future…” He stated he was going to stock up on toilet paper now and when the time comes he plans on selling “3 squares at a time” !!! I guess a little humor now doesn’t hurt, but when the time comes it sure won’t be funny. I pray every can get through to the other side. humorous but sadly in all probability true. Thanks Bill. Makes me wonder why would Comex publish inventory movements that translate to kilos? Are they telegraphing something? Are they thinking we’re so dumb we wouldn’t notice? Are they moving anything at all? Have the Chinese bought the Comex and are emptying it out? very few follow these movements, fortunately for us, Harvey Organ does. Never ever in my life have I been more sure of being in the right place at the right time. Holding physical metals. Sometimes those responsible go to jail but in this case I rather doubt it. Those that have acted in a manner to cause great loss to others will simply walk away and smirk to themselves.. The word Sociopaths comes to mind. John Embry said it well today. John is a brilliant man. Yes Bill brilliant is the one word that causes me to believe that we are on the right path. There are so many wise and brilliant people from all over the world that preach what you preach here. To name just a few. John Embry, Eric Sprott, Jim Sinclair,N Andrew McGuire, David Stockman, Doug Casey, Mike Maloney, Peter Schiff, Dr. Paul Graig Roberts and many many more you and Andy included. The years of experience of just these few men adds up to hundreds of years. We can either follow the writings or dismiss your writings of this group. I have put my faith on logic. Thank you for helping me find my way through this mess of deceit and lies. If COMEX silver is such a measly small market (in fiat dollar terms) and an outright crime scene, why do we need to wait for China (or Russia) to break it? Why can’t somebody like Eric Sprott singlehandedly put a dent into it and finish it off? Or is it because he would become the next Hunt brother if he attempted the same exercise? Well as far as I am concerned, your theory is as good as any. In fact, from all of the articles that I have read written by you, if we ever find the real truth, you probably hit the nail on the head – again. How does this effect us average Joe’s / Jane’s? I mean when does the physical market set the price? 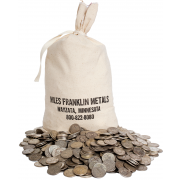 Every coin dealer that I know still prices from spot – “always been that way” is their story. How do we change that old mindset? I am ready to see a fair market price – in the physical market – based on supply and demand. How does that happen? but, what will “spot be”? COMEX price or maybe the new “fix” price that China will participate in discovering. Please see my piece tomorrow for a theory on this. This is one of those times when I wish I was your neighbor, so we could stand across the fence and discuss. I don’t know what spot will be. 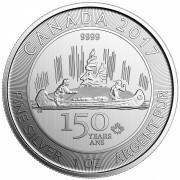 But, today – right now – for example most of the local coins dealers are out of silver. They claim they can’t buy any. I still contend that if they were to raise the price they are offering they would find a price that someone would sell – apparently the current spot is too low. But, they refuse to offer a higher price claiming that they would not be able to sell at that higher price. How does the free market take over after all of these years of a fake market? I just do not know myself. Anyway, I know you have plenty to do without me here. Thanks Bill for your writings. I could read 10, or more, a day. Blessings. thank you for such kind words Bob! You might be able to read 10 pieces a day, I know for sure I could not write them. Many have recently said I am writing two per day, not so, only four per week. Much more than this would be really hard for me to do unless in very much shortened versions.. I think I understood the essence but all the jargon and processes are over my head. Am I correct to say that the Fed’s manipulation of gold prices are now becoming evident and that this points to problems developing in physical gold delivery by the Fed? broadly yes, you are correct. What I tried to point to is COMEX is becoming irrelevant because of the very small deliveries now. If they are deterring delivery via paying cash premiums, then is really a “gold market”? Thanks Bill. Keep up the good work. I’m climbing the learning curve. thanks Ron, we all are as events are unfolding so rapidly. A little inside info on collusion in the futures, stocks, commodities, forex, media and inter-connected ownership. The Bancroft family owned the ‘Dow Jones & Company’ for over 100 years. On the 13 December 2007, they sold it to NewsCorp (Rupert Murdoch) for 5 billion dollars. In February 2010, NewsCorp splits off the Dow Jones Indexes group of companies and sells them for 607.5 million dollars, to the CME Group who own the COMEX. Since then the CME Group has gained a controlling interest in the S&P 500 indices. So you see Bill, the further down the rabbit hole you go, the more curiouser and curiouser it gets! A vipers nest. The Ponzi is on its last leg. Soon we will see a failure to deliver and the Comex will become irellevent. THE PHYSICAL EXCHANGE will become the only thing that matters and the law of supply and demand will move the prices of gold and silver to levels beyond belief. In my mind there is a very smart entity each month testing the system. Much like the Raven they will observe, analyze and deduce. Then one day, and I do not think that day is more than a year out, they will break the COMEX. The powers that be at COMEX get more arrogant with each test believing they can best the system. And then one month they won’t. The video with Mike Malone indicates the bank has gone over his companies books with a fine tooth comb. Has Miles Franklin also been subjected to “Operation choke point”. ? don’t know, you might call in and ask David or Andy Schectman. There is a market for 99.5% kilobars and we switch between making 99.5% or 99.99% kilobars depending on demand. I have blogged many times on the movements of kilobars in JPM’s warehouse. If you look over time (https://lh4.googleusercontent.com/-lKfkQQtUqNU/VEd0XliLPxI/AAAAAAAAASM/PBRhaAtdaIQ/w958-h628-no/kilobarmove.png) it is clear that kilobars are deposited into the warehouse, usually on price weakness and then withdrawn in large lots. My guess is that they are stockpiling during periods of poor demand for when demand returns.